My youngest daughter keeps coming up to me asking if we can start school work. ( I know right?) The problem is not that she’s asking for work – but that she’s asking at 8:00 in the morning, when I’m here in blog mode, in mom quiet time mode , when I still need to locate a few books, when I still need to get MENTALLY ready to start this school year. Yes – you can do math or grammar since those are only workbooks and I can point out a page or two to work on. I was aiming for the first week in September but I honestly don’t know if we are going to make it that far with this child. She is my learner, well the one who likes to have paper and notebooks and pens and binders etc, etc, etc. 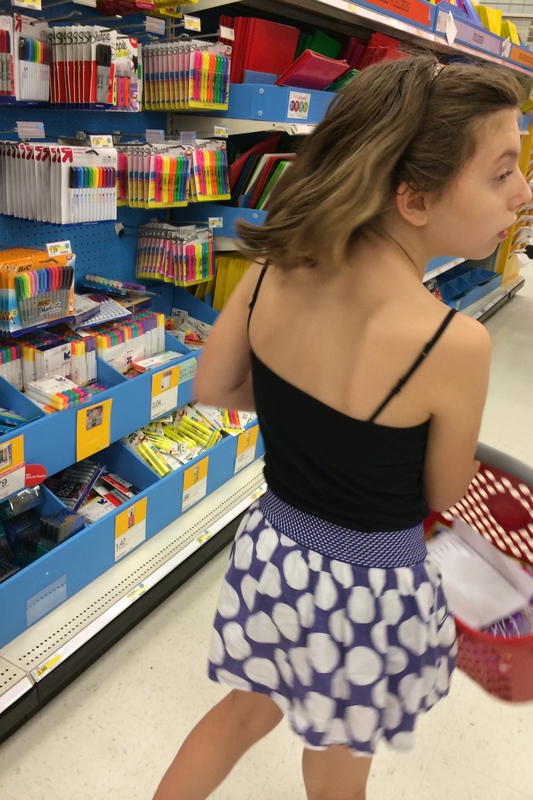 And she likes to have everything organized IN the binders – with folders and notebooks and pencil cases. This is not and never was me. I could have cared less. I’m SO needing to be more on top of things with this one. I’m going to have to plan more and be more consistent – oiy! So I grabbed our history curriculum for this year – figured out what chapter we were starting with and handed her the book to “pre-read” before school starts. And I gave her map work. Hopefully this will be enough. For Today at least. My Rowan could care less – for her it’s like pulling TEETH to get work done – actually – pulling teeth might be easier. I’m going bonkers. On our way out to our barn there’s a sign pointing down a nice gravel, tree lined path (I so wish it were our path); it says “WIT’S END”. Somedays that’s how I feel and let me tell ya – I am SO tempted to name our house “wit’s end” JUST so I have proof.